In Altena we produce spring steel wire and steel wire according to the current national and international standards as well as individual specifications. More than 150 years of experience, current market knowledge and the flexibility of a medium-sized company guarantee products and solutions that are perfectly aligned with your individual requirements. 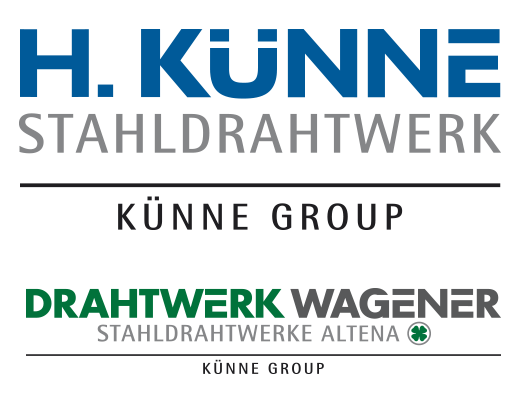 In order to ensure that this remains in the future, in January 2016 we merged the two traditional companies Drahtwerk Altena and Wagener Stahldraht to one company named Drahtwerk Wagener. As our customers of many years, you will benefit from the resulting synergies and the bundling of competencies in the entire KÜNNE Group. To offer a long-term and convincing price-performance ratio is our future objective. An intensive needs assessment is the basis of our production. Optimal workability of our products will decrease your costs. This involves avoiding failures, improving utilisation, higher machine operating speed and lower tool wear. Combined with best service we are offering a noticeable value in cooperation.